On a warm Saturday morning, 7,947 of us lined up in our corrals on the west side of Central Park for another New York Road Runners race. The sunny, 71 degrees already felt warm in the shade before the race, but it would only be to our detriment as the race progressed. Beginning on the west side of Central Park and headed north towards the gradual inclines of the hills on that side of the park. With the sun beating down, the sweat began pouring off us in the first mile. The crowded field for the beginning of the race didn’t abate until the second mile, the proximity of the people just increasing the heat as we ran. 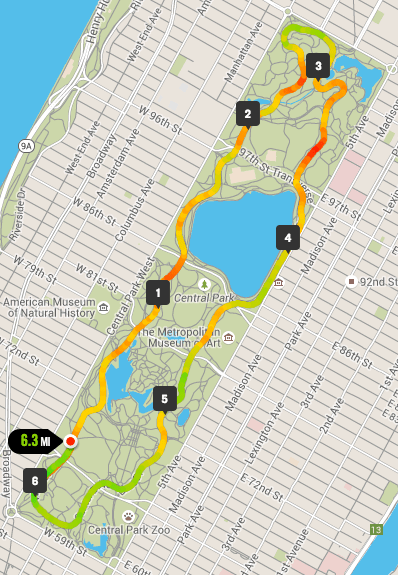 Thankfully, there were a couple of water stations before we reached Harlem Hill, the steepest inclines in Central Park. Many people felt the need to walk to be able to take the hill in the heat, but I pushed through and was elated to crest the hill and begin the downhill portion of the run around the northern end of the park. With half the race done, we ran the down the curved roads down the hill to the east side of the park, where we continued out descent down Cat Hill. Following the east side of Central Park, we passed the 72nd Street transverse and followed the road around to the south end of the park. heading back west along the end of the park, we turned back and ran back towards where we began. Running north, we progressed back past the transverse and where we had started the loop of Central Park to an additional several hundred meters to take us to the finish line we saw soon after the start of the race. The heat of the sun beating down on us on such a warm day was to the detriment of all the runners, many wondering if the race could have started earlier or if there were any other ways to battle the warm morning. 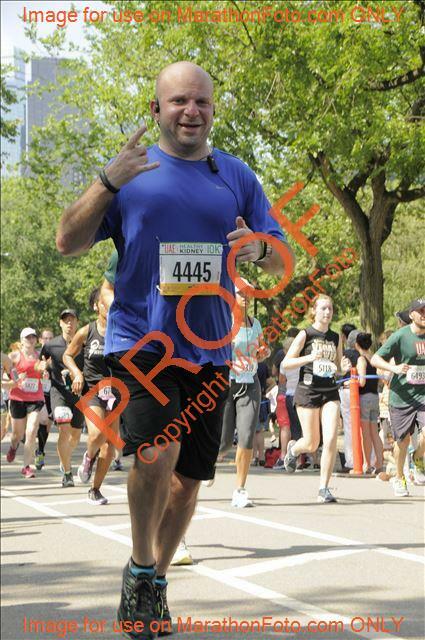 I was able to finish the race in 57:49 and was happy to be done with my third NYRR race of the year.